Monrovia, Liberia - The President of the Republic, Dr. George Manneh Weah, has issued Executive Order 94 exempting the Liberia Electricity Corporation (LEC) from paying customs duties and General Services Tax (GST) on petroleum products. GST falls in special categories of equipment, materials and vehicles used by the LEC in the conduct of its operations. Specifically, the GST exempt for LEC include 85.04 transformers, 85.44 wires, 73.08 light poles and 90.28.90.00.00 electrical wires. Others in this category of GST are 84.26-84.28 specialized vehicles and 87.02-87.04 operational vehicles. The Executive Order 94 by President Weah recognizes existing imperatives that Government must tackle to give the Liberia Electricity Corporation ample capacity to expand the number of connections to the National Electricity Grid. As a result of its transition from the use of fossil fuels to hydro power to generate electricity, LEC faces external market forces and risks that increase the cost of operations of the Corporation. The Executive Order notes that some of these costs, which are associated with the purchase, delivery and storage, and use of fossil fuels, particularly Heavy Fuel Oil (HFO), represent a significant expense to LEC, which show investment in the transition to the wider use of Hydro Electronic Power in Liberia. The Order further states that Customs duties and GST on petroleum products are LEC cost categories that have the potential to adversely impact the monthly expense of the corporation with implication on its expansion program. 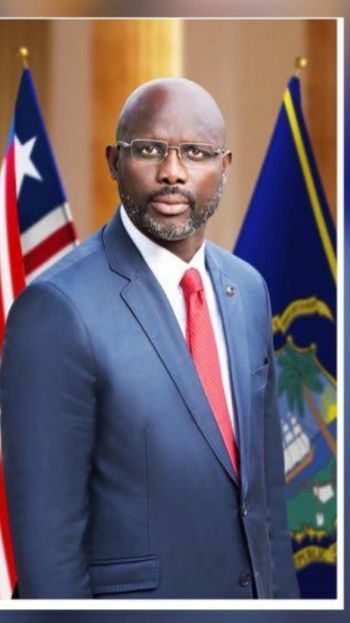 In another development, President Weah has issued a Proclamation directing all law enforcement agencies in the country to ensure that children under 18 are not exposed to cigarettes, narcotics, drugs and alcohol. The Proclamation orders that “No parent or guardian contributes to the delinquency of minors by giving or sending a child to purchase or exposing a child to substance use such as narcotics, cigarettes, drugs and alcohol.